Someone recently asked how I can put together such asymetrical sets (or maybe they were referring to jewelry! )I've always loved monochromatic color schemes. When I had my flower shop, customers would come in just for one of my bouquets made in all pinks, lavenders or peaches. 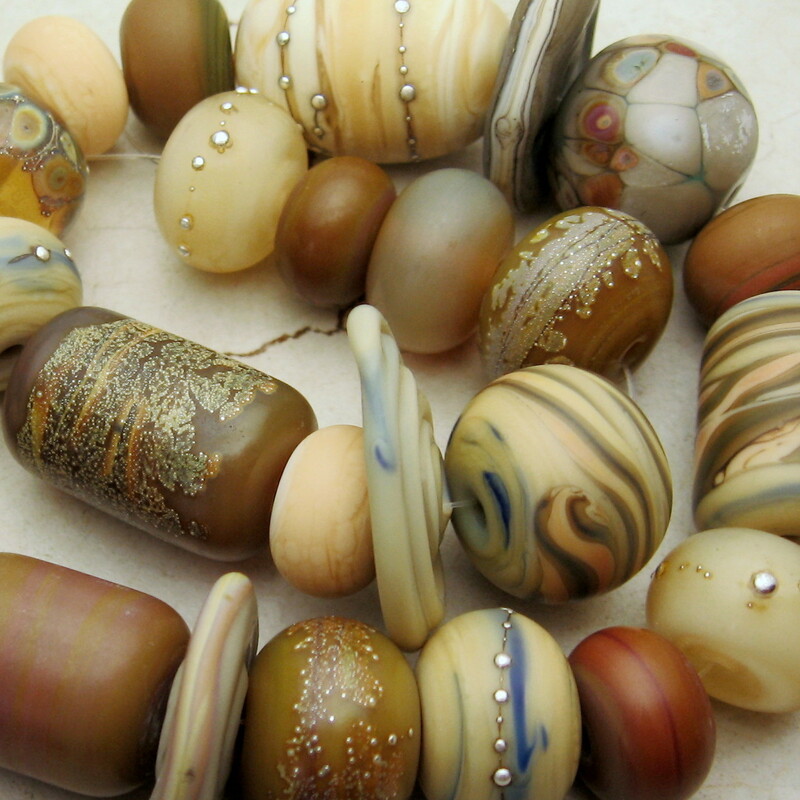 So when I'm looking to create a set of not so matchy-matchy beads, I look for a color palette that will make a pleasing to the eye set of beads for jewelry making. Not all the glass is the same and sometimes even diggerent shapes go into the set. I look for color inspiration in magazines, Google images, clothing catalogues and of course...Design Seeds.